Putanna Kanagal is acknowledged as a master craftsman who was able to bridge the gap between commercial and parallel Kannada cinema. He made strong women centric films and has a large of work in Kannada, Tamil, Hindi and Telugu movies. Putanna Kanagal was born on 1st December 1933 in Kanagal village of Mysore district. His early years are quite shrouded in mystery, but it’s known for a fact that he had an agricultural background and that he had little formal schooling. He worked his way through various jobs as a cleaner, teacher and salesman before landing a job as an assistant and driver to B R Pantalu, a Kannada film director. B R Pantulu was active in Kannada cinema and this association bought Putanna his first break as director. He directed Bellimoda, which won acclaim from critics and fans alike. Other movies like Kappu Bilappu, Gejje Pooje, Karulina Kaaru, Naagara Haavu, Upasane, Shubha Mangala, Bili Hendathi and Runamukthalu continued to enthral film goers over the next three decades. Putanna Kanagal had a penchant for filming unusually themed women centric stories. He found his muse in Kalpana and over the years, Putanna was able to extract very strong performances from her. She starred in Gejje Pooje, Karulina Kare and Sharapanjara and gave the best performances of her career under Putanna’s able direction. Putanna Kanagal often touched the darker side of human nature with his meticulously researched plotlines. His directorial debut, Belli Moda, dealt with human greed and how people change when faced with the prospect of gaining wealth. Kaapi Bullipu dealt with the many facets of the relationship between two sisters. Gejje Pooje, undoubtedly his best film ever, handled the theme of forced prostitution. Under Putanna’s tutelage, Kalpana gave the best performance of her career as a former mental patient who is alienated from her family once she returns after a cure. Putanna Kanagal handled the contemporary topic of mixed race marriages in Bili Hendathi where he had an English actress, Margaret Thompson; enact a European wife entering a traditional Kannadiga household. All the Kannada films that were directed by Putanna Kanagal scored well on the music front. In a milieu where music often takes the story forward, not only were the songs in his films melodious, but became memorable due to the apt locales and haunting lyrics. Among the most haunting melodies, one song that is popular even today is a song from the movie Sharapanjara sung by P Susheela and PB Srinivas, the lyrics being Kaaveri Kodagina Kaaveri, a tribute to the river Cauvery. The 1976 film Naagara Haavu had the song Karpoorada Gombe Naanu sung by eminent playback artiste, P Susheela. Putanna tried his hand at filming Katha Sangama, based on a collection of stories set in a Carnatic music setting. Kaalidaasana Kaavya Laharige sung by PB Srinivas was a very popular song from this film. 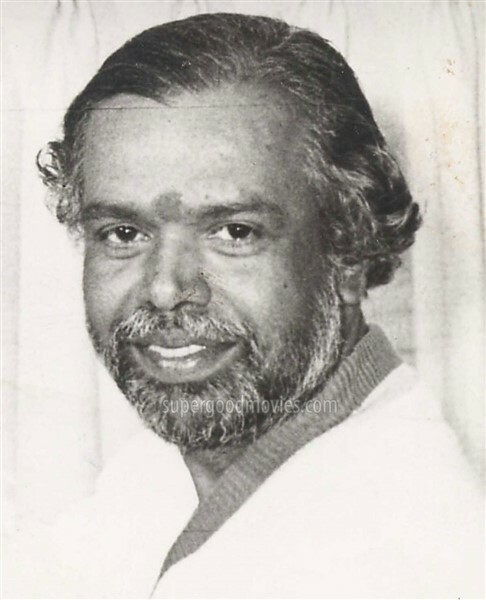 Putanna Kanagal had a keen eye for talent and introduced to the Kannada screen actors like Arathi, Vishnu Vardhan, Rajnikanth, Ambarish and Jai Jagadish. Some of his films were adapted for the Hindi screen and released as Hum Paanch and Zehreela Insaan. Putanna is considered a doyen of the Kannada film industry and it is a measure of the man’s talent that almost all respected Kannada actors acknowledge his role in shaping their careers.